This year’s Wateree Baptist Association Upper Division (WBAUD) Midwinter Education Session will be held January 23-27, 2017. Classes will be held from 6:30 – 8:30 p.m. at Zion Benevolent Baptist Church, 201 Meeting House Road, Hopkins, SC 29061. Take advantage of these learning opportunities that are provided for you. Many people are robbed of blessings that the Bible tells us are ours in Christ Jesus. But because we don’t know about them, we never truly live in them. The Bible says in Acts 19:20 (KJV) “So mighty grew the word of God that it prevailed.” God’s word is an over-coming word. When we get to know more of God’s word and His power we overcome whatever is thrown at us. Because we know that God’s word will prevail, we will overcome. Classes will adjourn from classrooms. 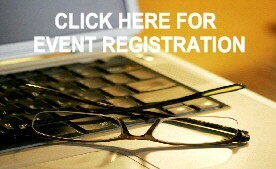 Please click on the Event Registration icon on our main webpage to register.